A: A holistic dentist is a physician who focuses on oral health. The emphasis is on being a physician of the whole body. He or she must have good working knowledge of how the entire body works and the relevance of the oral cavity to the entire body. Q: What are some of the primary differences between standard and holistic dentistry? A: One of the primary differences is the willingness to accept out of box thinking. Like current medical science, conventional dentistry is evidence based and is built on solid basic science research. 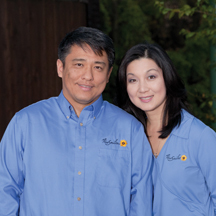 Holistic dentistry does not abandon this base, but expands upon it. It embraces knowledge that is routinely recognized under the jurisdiction of medical sciences. Because of it, holistic dentistry has more tools and methodologies that challenge conventional thinking. The end result is that we are able to provide more answers/solutions for our patients. Q: Does this mean all of your services are different? A: A patient who walks into the office will still recognize most of the services that he would expect to find in a conventional office. What he will find is how differently these procedures are applied as part of his treatment and modifications to the protocols. Q: Are there restrictions for who can utilize this type of dental care? Q: Why did you choose to provide this form of dental care over strictly standard care? A: Out of frustration. Years ago, I was frustrated with how conventional solutions would work for some people but fail others. I was blessed with an opportunity to witness the power of conventional treatment applied holistically. A patient came to me with a request for some cosmetic veneer work. The day after the work was done, she came back for routine follow up. Before I could speak, she gave me a hug and thanked me profusely. She said that for the first time in many years, her headache was gone after the veneer work. She no longer needed to take pain medication every day. Her children noticed how much happier she has been. It is this kind of story that keeps me going down this path. I am fortunate to have this ability to bless other people. Q: Do you have to be certified or licensed in any special way as a holistic dentist? A: At present, holistic dentistry is not officially a recognized specialty. It is at its infancy of development toward gaining recognition both professionally and publicly. There are a few prominent professional organizations currently working hard toward establishing guidelines and standard of care recommendations and raising public awareness for holistic dentistry. One of these organizations is International Academy of Oral Medicine & Toxicology (IAOMT.org). This particular organization has already set up very specific standards for its members to practice. Q: When would you recommend a patient seek out a holistic dentist? A: Any time, holistic dentistry is more about prevention. We educate patients on how to take care of their body so we don’t have to do it for them. Q: Does the patient need to take care of their teeth in different ways if they work with you? A: Everybody is different. We literally have different body types. Different body types have different needs. We evaluate each person individually and make specific recommendations for him/her. If a person has already reached their equilibrium, then there is no need to change. For more information visit our website www.allaboutsmilesde.com or call us at 866-855-4390.